With this in mind, take 3 minutes to watch Finding Joy, an inspiring video with memorable quotes, wonderful photography, and beautiful music. And while it probably won't change the world into a perfect place, we bet that it puts a smile on your face. 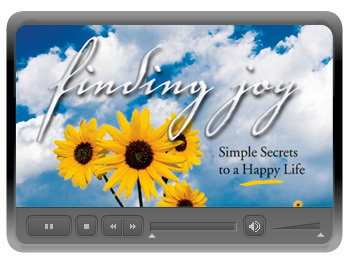 Finding Joy, a short film produced by Simple Truths, a consumer-direct publisher of motivational books and films. Visit www.simpletruths.com to learn more about this unique company.